I Spy Animals: And You Thought There Was Only ONE! And You Thought There Was Only ONE! What are we talking about? Giraffes, of course. You see one, you've seen 'em all. But that's not true. Amazing as the above giraffe is, he's not the only type out there. There are more. Eight more! 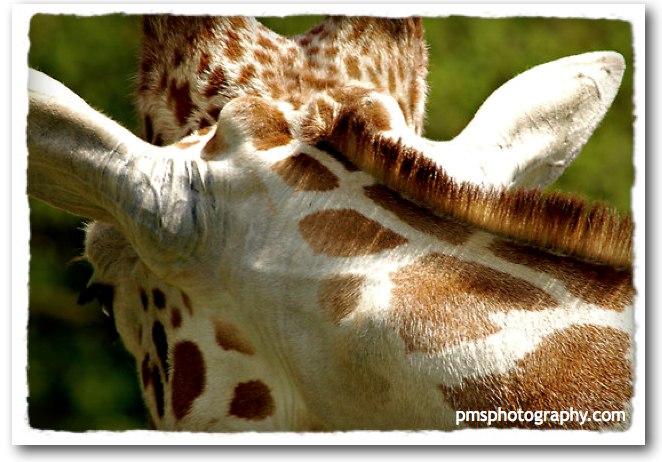 Let's look at what we are familiar with, the above giraffe pattern. 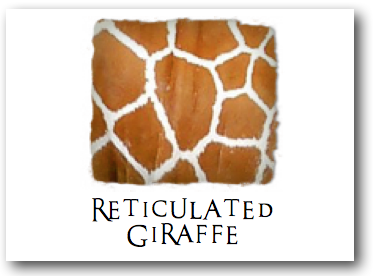 This is the most well-known, the Reticulated (ree-tik-u-lay-ted) giraffe. When kids draw a giraffe, this is the pattern they draw. What we aren't familiar with is the eight other types of giraffe! They are astounding, and so are their patterns. Let's take a look at their hides below, and in the next post I'll show you the beasts themselves! Leave a comment and let me know your favorite!